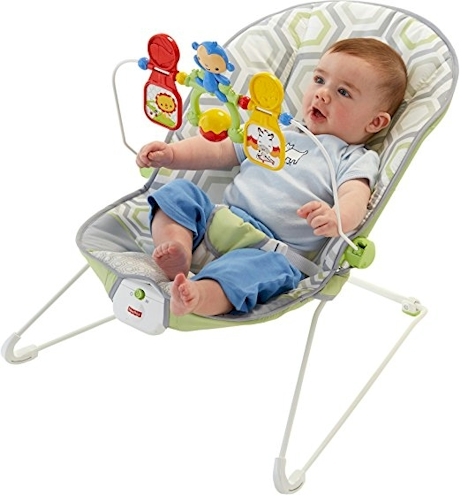 Description: The Fisher-Price Baby's Bouncer provides the perfect play and quiet time spot for your little one. The cozy seat gently bounces and with a press of a button, it soothes with calming vibrations. Soft toys overhead are perfect for reach-and-grasp play.